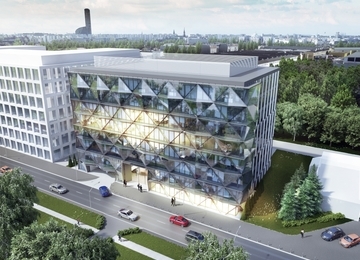 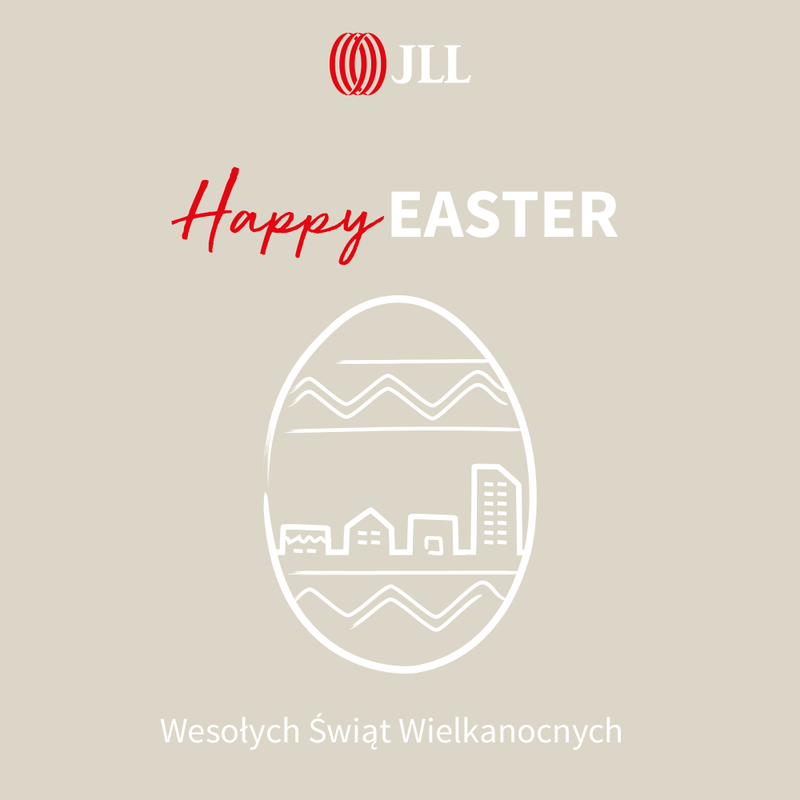 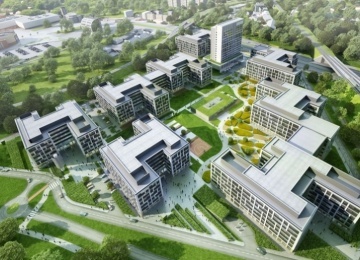 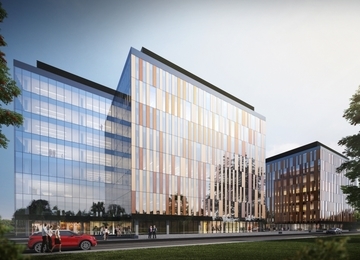 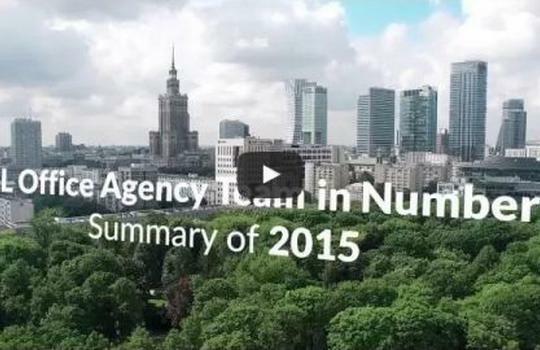 Wojdyła Business Park is a complex of three separate A-class office buildings characterized by recognizable shape and highest quality finishing. 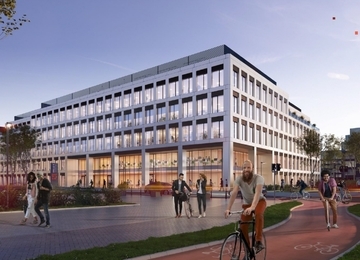 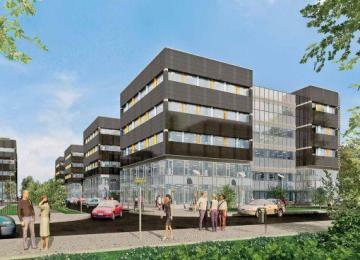 About 24,000 sq m comfortable planned office space is located on five floors. 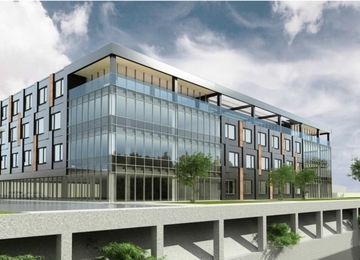 The building offers professionally equipped conference center and 621 parking spaces in a two-level underground garages. Storeys with excellent access to natural light, with open plan interiors, allow to adjust office space to tenants needs and give the possibility to create optimal working conditions. 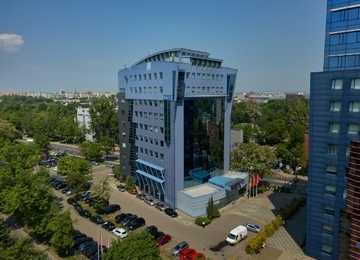 Wojdyła Business Park is located near the city centre, in the so-called Western Business Center, in the vicinity of such objects as Wrocławski Park Technologiczny, Quattro Forum, Wrocławski Park Biznesu or Millenium Tower. 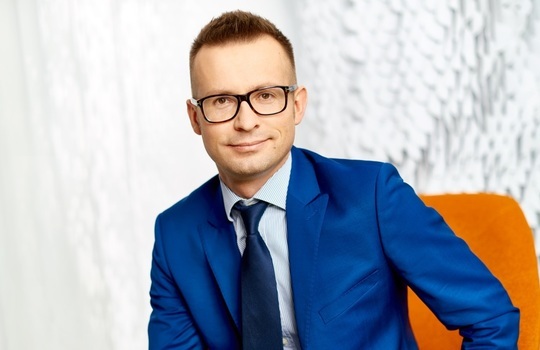 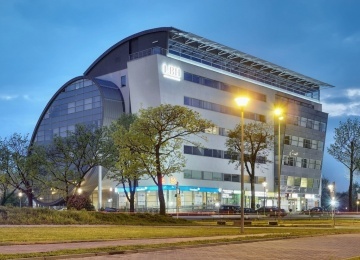 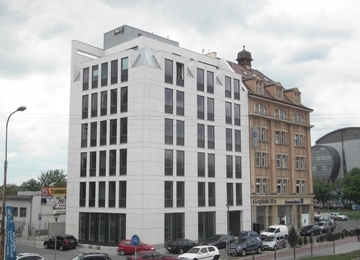 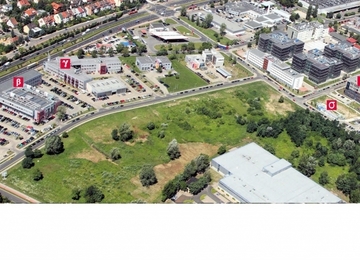 The office complex is located on the ring road, just 5 km from the Old City, 6 km from Wrocław Central Station and just 10 minutes from the International Airport Wrocław Starachowice.